ohhh I want to see this movie SO BAD. Mm, I want to see the movie as well, but maybe I have to read the books afterwards. I want to see this movie so badly! I love that dress so much too, the colour is amazing. Yes, I am VERY into the fandemonium, I agree, I thought the chariot scene fell short BUT still loved the movie! She had a really cool coalminer's daughter meets Lanvin look for the movie. 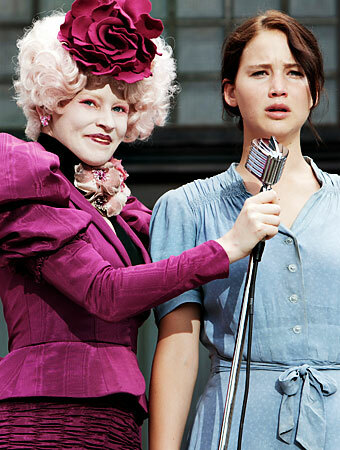 I love the Hunger Games! I saw the movie the other night and I thought it was fabulous. The book was obviously better because you really feel the experiences that the characters go through, but for a book-to-movie adaptation I thought it was amazing. And I definitely cried too! re: pandora charms are expensive too here.. they start at like 50$ or something like that for the silver ones..
omg. love, love, love this post. i'm a huge fan of the books. these pieces are all so appropriate! thanks for sharing!